Online ordering menu for STAMP DAT SOUL & SFD. 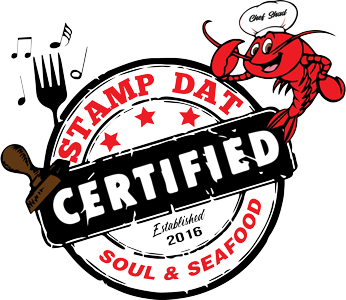 Here at Stamp Dat Soul & SFD, we serve delicious seafood and more! Our menu features crab, crawfish, poboys, burgers, and salad. Try our Chicken Alfredo or the Shrimp Creole! We're located on Highway 90 East by Bayou Des Allemands. Order online for carryout!